We are Americans! We are Witches! we were born, and raised and taught in America. Not in England, not Scandinavia, not in Egypt and not in Ireland. Our American Traditions are as proud and as strong as those of any other country. Right here, right now, the traditions of witchcraft in America are uniquely our own. The subject of Witchcraft in America is a confusing one, primarily as a result of the infamous “Salem Witch Trials” that took place in 1692. This atrocity began when a group of young, apparently bored and seeking attention, accused three local women of being witches. The hysteria escalated when certain individuals realized that they could take possession of the land and property of the accused, (and executed) victims of this persecution. When word of the executions reached Massachusetts Colonial Governor William Phipps in Boston he quickly realized what was happening and put an end to the trials. Though this travesty of justice was all a sham and there were no true witches involved the good people of Salem, Massachusetts, being the type of people to let a good marketing gimmick slip away, have continued to foster the image (and the business) of the city as “The Witch City”. The true story of Witchcraft in America is also a muddled one because of a basic misunderstanding of what Traditional Witchcraft is, and what it is not. Salem has become this ... Mecca for Wiccans, but no witches died here. 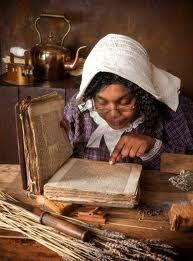 Aside from Tituba, no one practiced anything like witchcraft near here in colonial times. It was a bunch of bored Puritans who thought killing their neighbors at the behest of teenage girls was a fine, Christian form of entertainment and land acquisition. Witchcraft is the name that was adopted by the early Christian Church as a way to label and condemn the practitioners of the ancient pagan religions as godless heretics and worshipers of Satan. These pagan religions were in actuality merely the continuation of the native spiritual and cultural beliefs of ancient peoples that were practiced prior to the advent of Christianity. Simply put, “witchcraft” became a buzz word for demonizing anyone who practiced a polytheistic or nature based religion as the Church saw these religions as obstacles to its being able to subjugate the people to its monotheistic dogma. As in most areas of the world where the native peoples were colonized by European Christians the concept of witchcraft, as we think we understand it today, had not existed prior to the arrival of their arrival. Even when the label of “witch” was used; it was more often applied to the European religious dissenters and not the native people themselves. The native people that practiced their old pagan religions were usually referred to as “heathens” and their religious leaders incorrectly as medicine men and medicine women or as "shamans". The word "shaman" actually originated in Siberia and it describes a specialized type of holy person who practices not only with prayer and rituals, but also through direct ecstatic communication with the spirits themselves. 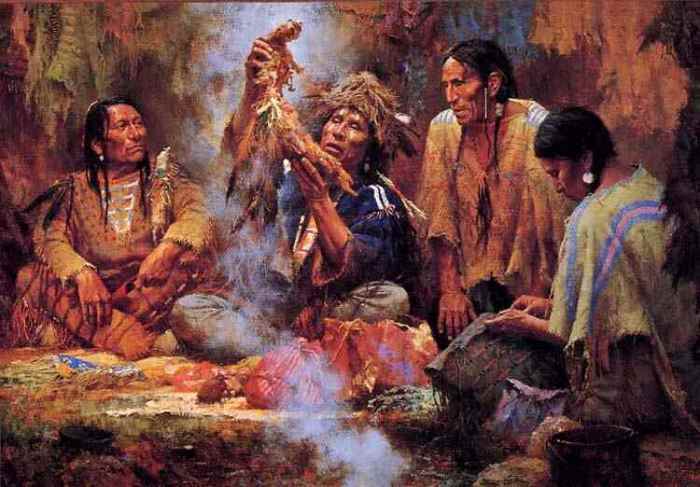 Because these ecstatic trances were so important to the Native Indian people as a means of getting in touch with spiritual forces, the title “Pow Wow”, ( from the Algonquin word “pauwau”; meaning “one who has visions"), was accorded to those who fulfilled this role within the tribe. The word, whose spelling was eventually settled in English as “pow-wow”, was also used as the name for ceremonies and councils, because of the important role played by the pauwau in both. Though at council meetings, especially those dealing with pacts and treaties with outsiders, the pauwau was present not as an actual vision seeker, but more to sense the truthfulness of the parties involved. All pagan religions are localized ﻿nature religions, meaning that although the basic principles are universal, the local myths and customs of each individual culture are embodied in the local tribal rituals as a common allegorical reference. The ancient peoples believed that the Gods they venerated inhabited the land itself. When these early Pagans wished to honor their Gods, they created a connection between their homeland, where their Gods resided, and the land where they stood. In this way, the new land became an extension of the homeland and when a Witch is within the homeland, they evoke or invoke the land itself as the connection to spirit world. "The Homeland" is therefore quite possibly the most important aspect of Traditional Witchcraft. The homeland is the home of the Gods, and in many beliefs the two are synonymous. It was therefore quite natural for European settlers of traditional pagan beliefs, who immigrated to America, to adopt the local myths and customs and into their own beliefs and rituals. The Pow-Wow Tradition is a classic example of this melding of “The Old Ways” of the Europeans and local Native Indian beliefs. Though some claim that the Pow Wow Witchcraft is German in its origin, it is more an adoption of local traditions of the Algonquin peoples by the early German and Dutch immigrants of pagan heritage who settled in the Pennsylvania region of the United States. Observing the Algonquin's powwows, the pagan immigrants discovered that like themselves, the Natives used charms and incantations for healing. Impressed with their methods of driving out evil spirits, they adopted the term “powwowing” to refer to their own magickal healings. As their practice of magick was also centered on herbs and healing, they learned from the local people about the native roots and herbs for use in charms and healing. As stated earlier, the term Pow-Wow comes from the Algonquin word ‘pauwau’”, meaning ‘vision seeker’ and the Pow-Wow Witches encompass shamanic like rituals of healing through visions and the application of traditional medicines, which are often accompanied by prayers, incantations, songs, and dances. The Pow-Wow Tradition places great significance on the vision seeker as the nexus of tribal activities and rituals. Perhaps the most fascinating of the European/American merging of pagan ritual and practices is the Appalachian Granny Magic Tradition. Dating back to the first settlers of the Appalachian Mountains who came to the United States from Scotland and Ireland in the 1700's and who brought with them their "Old World" magical traditions. 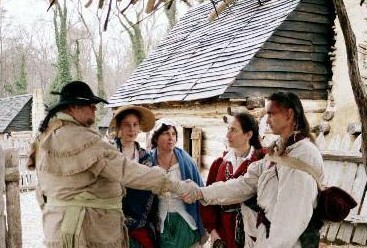 Those traditions were then blended with the local traditions of the Cherokee into a combination of folk remedies, faith healing, storytelling and magick. The 'Granny' Witches call themselves 'Doctor Witches' or 'Water Witches' depending upon whether they are more gifted in healing and midwifery, or if they are more in tune with dowsing for water, lay lines and energy vortexes. This tradition is termed 'Granny' from the prominent role played by older women in the mountain communities. This calls to mind the image of “Doctor Granny” from “The Beverly Hillbillies” who, though a comic parody, was a fairly realistic representation of an actual Appalachian “Granny Witch”.